Tatiana was born 1991 in Dubna (Russia). At the age of 6 she started taking lessons at music school. 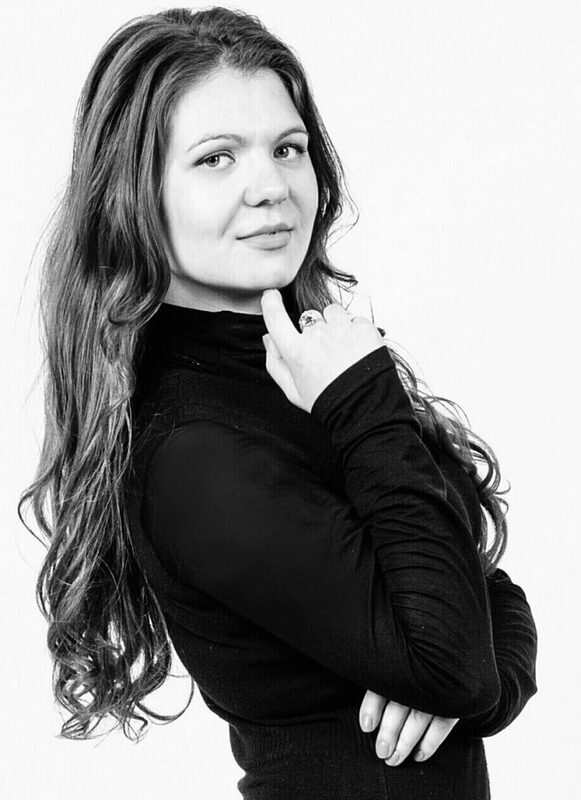 At the end of this school she already won the II price of the international competition for young singers, organized by Elena Obraztsova in Sankt-Petersburg (Russia) in 2008. In the same year she inscribed to Russian Gnesin Academy of music (college program) in Moscow. During her studies in college Tatiana won competitions like «Daina Miestui» (Lithuania, 2009), «XXI Century Art» (Ukraine, 2010), «Bella voce» (Russia, 2011). She graduated with a Bachelor of Arts from Russian Gnesin Academy of music by Prof. Ekaterina Starodubrovskaya in 2015. In 2013 Tatiana took the II price in the International Rachmaninov competition (Russia). At Gnesin opera studio she has sung roles, such as Cherubino, Marcellina in Le nozze di Figaro and Olga in Eugene Onegin. Tatiana participated in many different masterclasses, for example with soprano Olga Makarina (Metropolitan opera), with bariton Boris Statsenko (Deutsche Oper am Rhein, Düsseldorf), and Prof. Oksana Lazareva (Bolzano, Italy). Since 2015 Tatiana lives in Vienna (Austria) and finished her degree with distinction as a Master Sologesang at the Musik und Kunst Privatuniversität der Stadt Wien by Prof. KS Elena Filipova. In 2016 Tatiana won the I price in the international competition «Concours de Chant Art Lyrique Jeunes Espoirs» Opera Grand Avignon (France). From 2018 to 2020 she is a member of the “Junges Ensemble des Theaters an der Wien”.